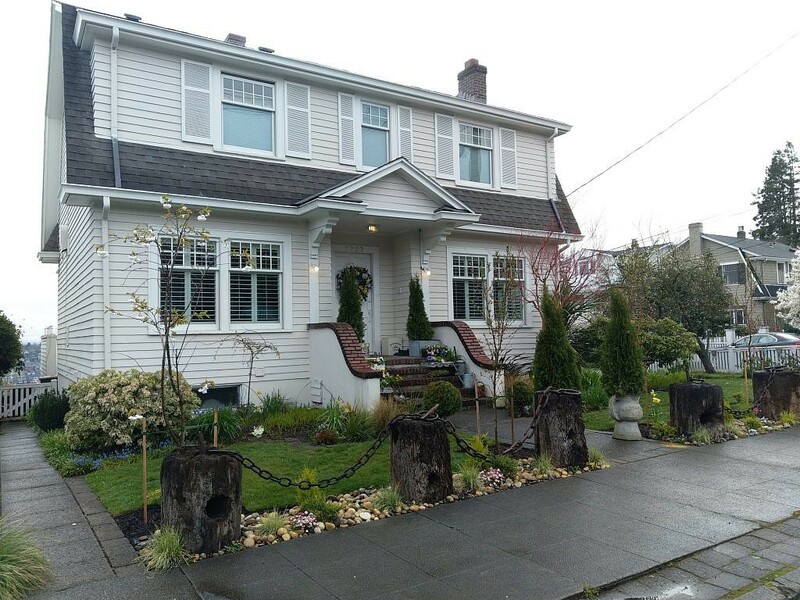 In springtime, it feels like everyone is outside: you can hear the lawnmowers buzzing away, folks humming while they weed their gardens, and – wait, is that neighbor moving log booms into their front yard?! That’s what the neighbors of Seattleites Nigel & Sue thought when they noticed Nigel & Sue redecorating their yard. 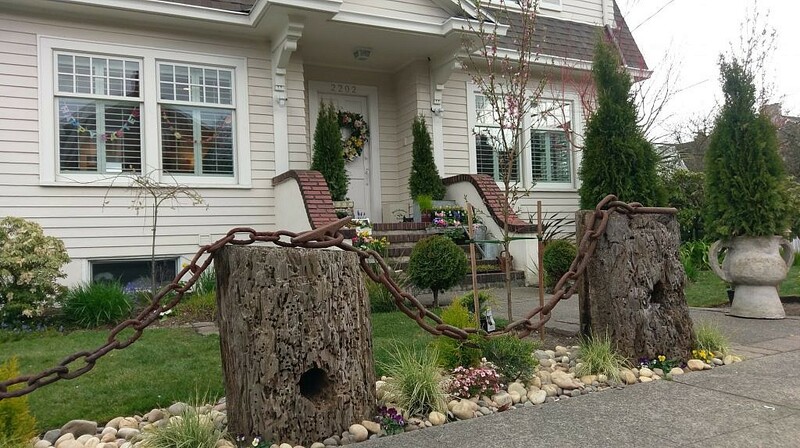 Nigel & Sue had decided to give their yard a springtime spruce-up, and they stumbled upon the perfect pieces while out shopping at Second Use: log booms. While log booms might sound like sticks of dynamite strapped to logs, they’re actually relics of the tug boat age, now used for decorating households in a nautical style. So when Nigel & Sue found a set, it was exactly what they were looking for to upgrade their yard. Their only challenge? 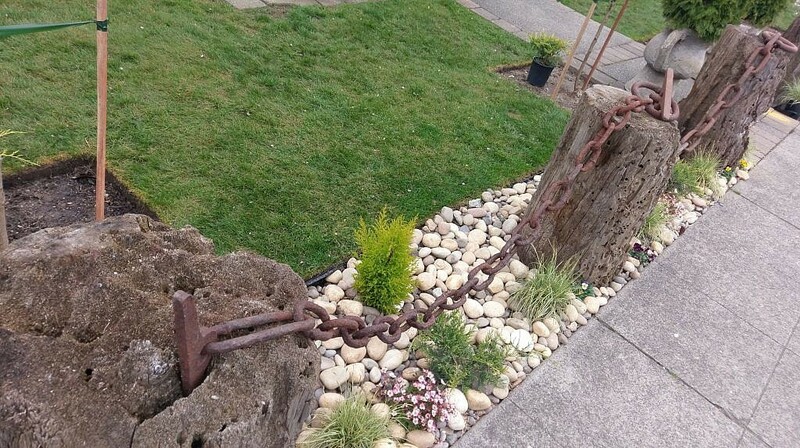 Getting the logs (which were over 100 pounds each) and their attached chains home from across town. Nigel and Sue were sure that they’d be stuck lugging the massive logs home themselves…until they heard about Dolly. They downloaded the app and put in a few details, then posted their Dolly. Within a few minutes, Dolly Helper Ronald and his assistant had accepted the job, and the group agreed to have the logs picked up in a few days so Nigel and Sue had time to prepare their yard first. With the log booms safely set aside by the store owner, Nigel & Sue headed home to get their yard ready. A few days later, Ron and his assistant arrived at Second Use, and they got to test their heavy lifting skills. At over 100 pounds each, they weren’t easy to lift, but it wasn’t a problem for a Dolly Helper like Ronald and his assistant. Within an hour, they were across town at Nigel & Sue’s home, unloading the heavy logs right onto the front lawn. The result? A stunningly redecorated yard, done with some decor, dedication, and a little help from Dolly.